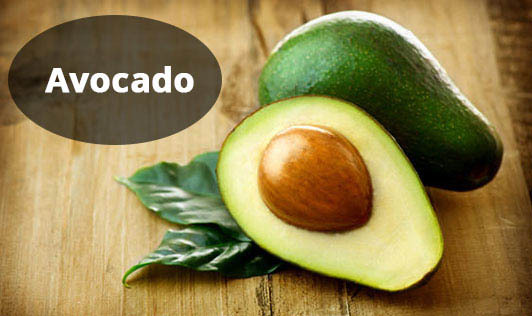 Avocados are also known as butter fruit owing to their high fat content. The fruit can be round or pear shaped and come in a range of colours, from dark green and crimson to yellow or almost black. It has a single large seed surrounded by buttery pulp and a hard skin. As avocados become sour when cooked and cannot successfully survive freezing, they should be eaten raw and as fresh as possible. Unlike other fruits, 100grams of avocado contain up to 22 grams of fat and 215 calories. Most of this fat is present in the form of mono unsaturated fatty acids, which help to lower blood cholesterol levels. The fruit is a rich source of vitamin E, and a good source of potassium and vitamin C. Vitamin C and E are both antioxidants and help to prevent the free radical damage that might lead to certain cancers. Potassium helps to control blood pressure as well as maintain a regular heartbeat and a healthy nervous system. Avocado is an excellent food remedy in acute digestive disorders. Its blandness is comforting to the hypersensitive surfaces of the stomach and duodenum.